Having wrinkles on your forehead is typically associated with aging or stress, but according to a new study, it could be a sign of cardiovascular disease. According to research presented at the European Society of Cardiology's annual conference, people who have a lot of deep forehead wrinkles (more than usual for their age) may have a higher risk of dying of cardiovascular disease. The study's authors suggest that observing wrinkles above a person's eyebrows may be an easy and cost-efficient way of helping to identify people who may be at high risk for cardiovascular disease. Unsurprisingly, that advice would include the usual tips for heart health, including exercising regularly and eating healthier food. Although the risk of heart disease increases with age, the authors stress that there are lifestyle changes — like diet and exercise — that can help reduce the risk of a cardiovascular event. The study was conducted with 3,200 adult participants aged 32, 42, 52 and 62 at the beginning of the study who were all healthy and were assessed by doctors regarding to the extent of their forehead wrinkles (with a score of zero meaning no wrinkles and three meaning “numerous deep wrinkles"). And although keeping an eye out for forehead wrinkles isn't more effective than existing health markers like blood pressure and lipid profiles, they could be useful in indicating there might be an issue far earlier than one might go through the standard battery of tests, which means if cardiovascular disease is caught earlier, there may be a better chance of surviving. So why does this happen? 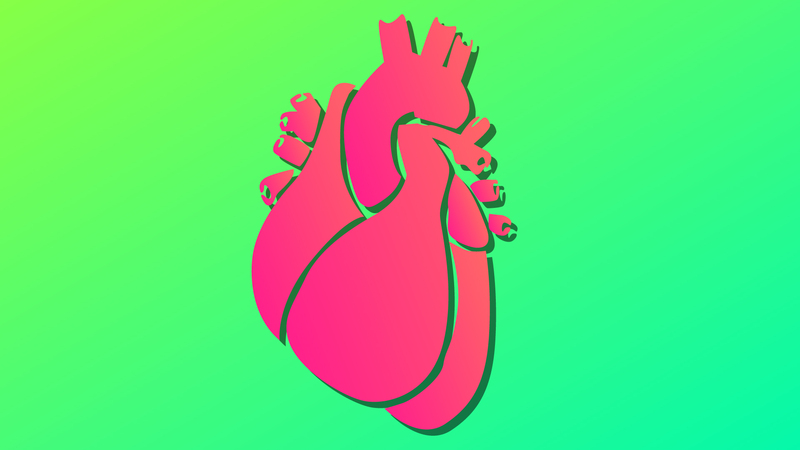 In short, the researchers don't know yet but hypothesize that it could have to do with atherosclerosis — hardening of the arteries due to plaque buildup — which is a major contributor to heart attacks and other cardiovascular events. As it turns out, changes in collagen protein and oxidative stress appear to have a role in both causing atherosclerosis and wrinkles, so that may be part of the key to fully understanding this link. In addition, the blood vessels in your forehead are on the small side and as a result may be more sensitive to plaque buildup, making deep forehead wrinkles an early signs of blood vessel aging or problems. While no one should have their appearance judged by the wrinkles on their face, in this particular case, it could be an important key to heart health.